Soft material that won't snag or pull hair with high durability for long lasting wear. 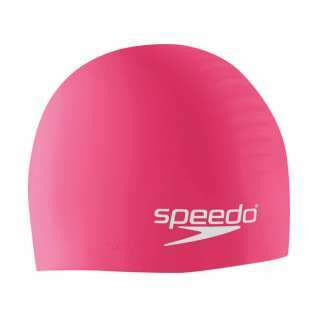 Good for medium to long hair! 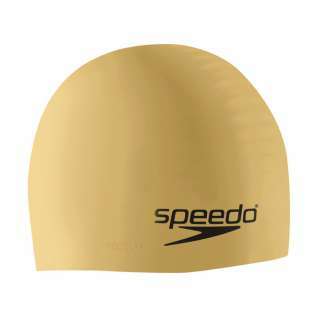 This model of swim cap is my go-to. I have it in several colors, to coordinate with my swimsuits. The cap is comfortable, doesn't pull out my hair, and is easy to put on and remove. Works well, does the job. 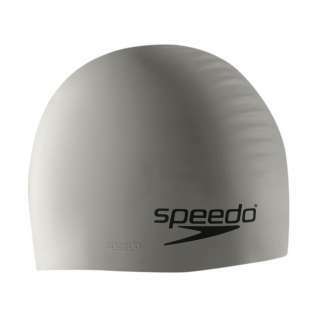 basic swim cap, does the trick. strong solid material, fits average to moderately large head size, lasts even when worn, washed, stretched. 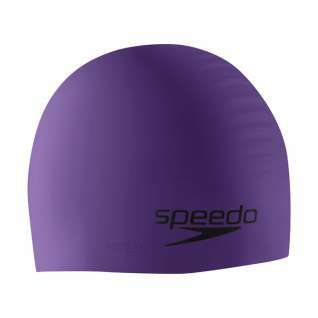 I like these Speedo swim caps -- the silicone doesn't pull my hair, and the shape of the cap is perfect for keeping the water out of my ears. Was exactly what I was looking for. Not too big or small. Easy to get on and off. Not cheap, doesn't appear to be able to rip so should last a long time. makes my swim so much more Enjoyable.